We have stayed at this hotel twice in the last 2 years, once for a Christmas party (November 2015) and again in October, 2016 for a conference. The Banff Park Lodge is located on Lynx Street, making it one of the more centrally located hotels in Banff. You can walk down Caribou Street to get to Banff Avenue (main shopping area) in less than 5 minutes. The Banff Park Lodge has underground parking for its registered guests, which is nice in the mountains as you don’t have to scrape snow off of your car if you are staying in the winter. You can take the elevator in the parkade straight up to the lobby level or up to your room if you are staying on one of the higher floors. 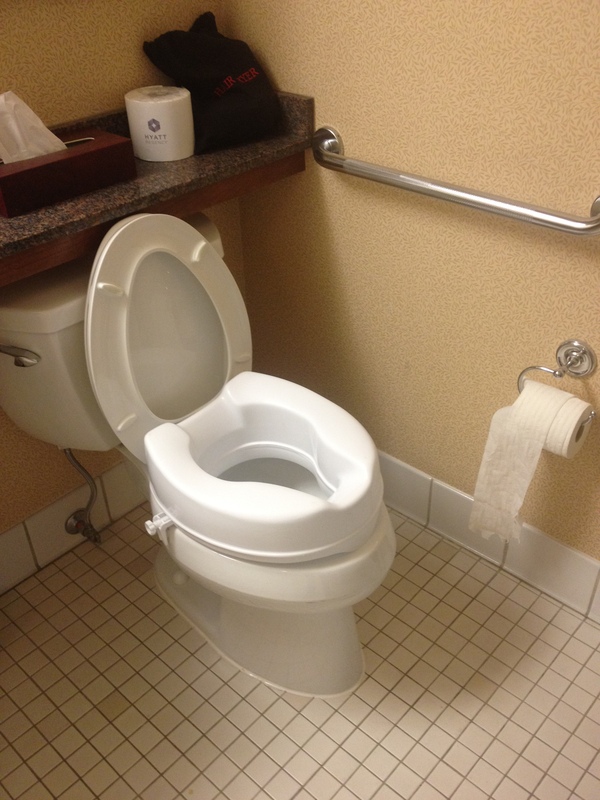 The wheelchair accessible room we stayed in (room 102) was very average. It had a king-sized bed and a small pull-out sofa. 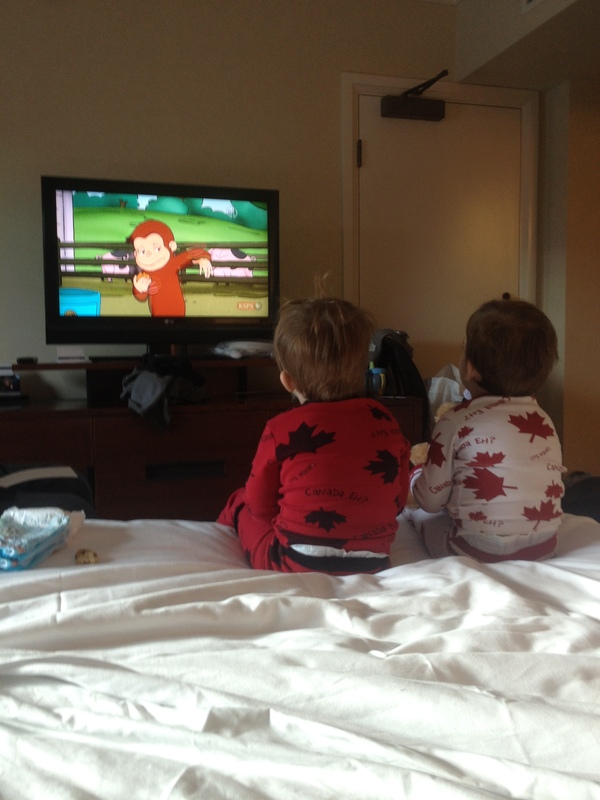 The room was located on the main floor of the hotel, just off the elevator to the parkade. The patio doors opened up onto a nice little outdoor area that would be a good place to sit in the summertime (or convenient if you were travelling with a dog). 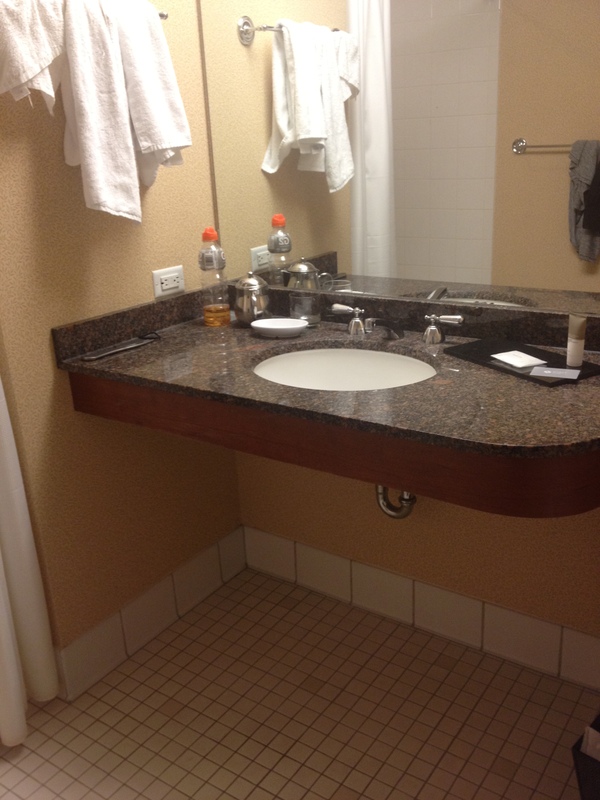 The bathroom was large and had a wheel-under sink, toilet with grab-bars and a wheel-in shower. The shower was upgraded to include several different controls and the heated towel bar was a nice touch. 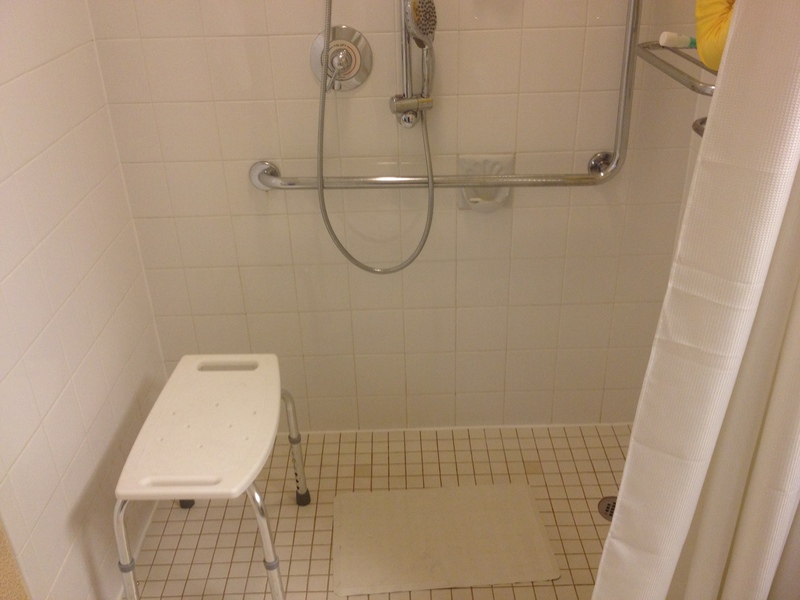 The hotel supplied a portable shower bench. There were a few shops and a hair salon located on the main floor of the hotel. The gift shop offered quite a few things, so if you forgot something, you could probably just pick it up there. The main floor and lobby of this hotel was completely wheelchair friendly. The sidewalks outside of the Banff Park Lodge were easy to navigate, although immediately across the street, some of the sidewalks were missing curb-cuts. The pool area was quite pretty, complete with a swimming pool, hot tub and a cooler hot tub. 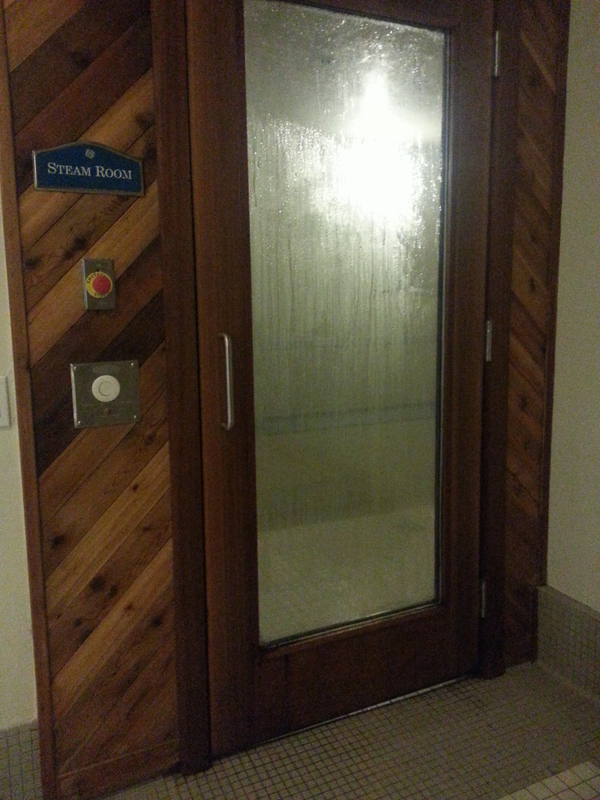 They also had a steam room and a very small fitness room. Unfortunately, the accessibility for this area was extremely poor. 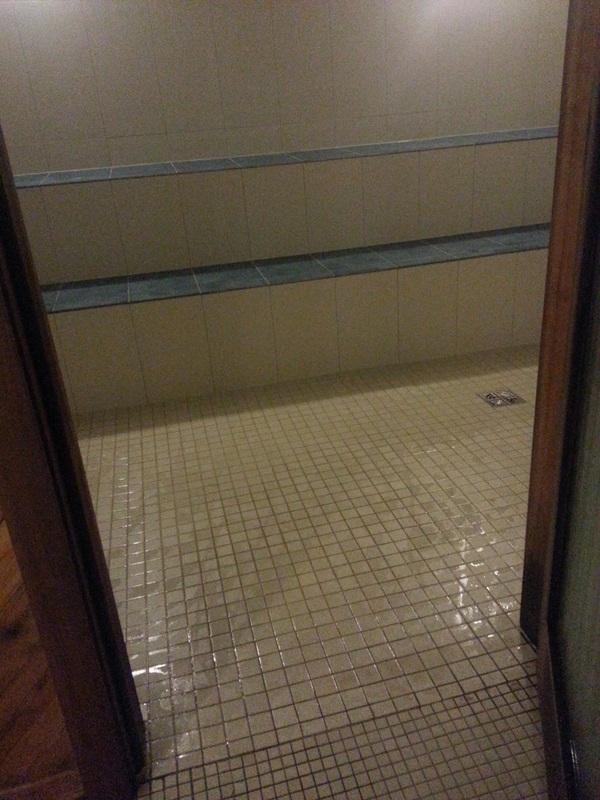 There were three steps down into the pool area from the entrance door and there were no pool lifts. 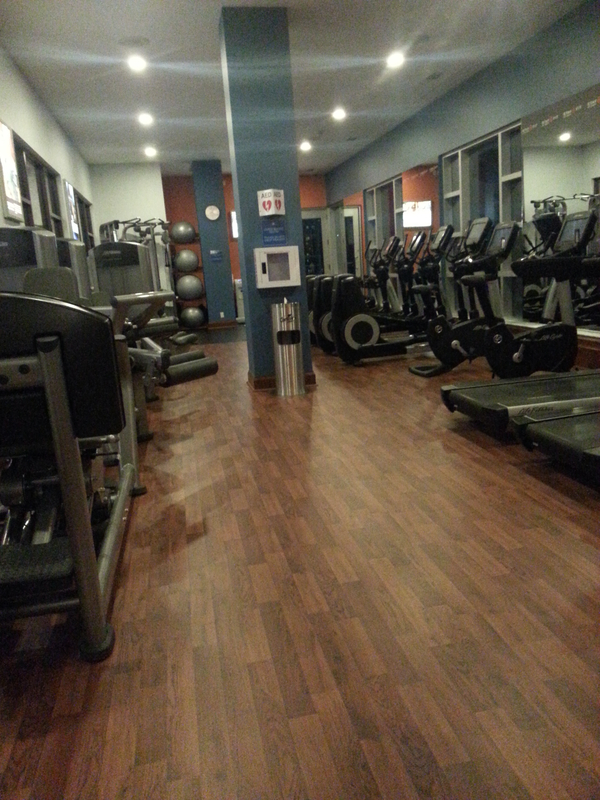 The fitness room (if you can even call it that) was accessible but there was no room to manoeuver in there and no accessible machines or equipment. The staff at this hotel wasn’t overly helpful. When I called the front desk to ask what time the pool opened they told me 7am but 9am for kids. So I entertained the kids for two hours until 9am only to go and see a sign on the door to the pool that said the pool was open to adults at 7am and everyone at 8am. Another example of the below-average hospitality occurred at breakfast in the upstairs restaurant. They had a big buffet set out for the conference attendees and my husband grabbed a plate and came to sit with us in the restaurant. We ordered food from the restaurant menu for the kids and myself but the kids were picking some hashbrowns off of my husband’s plate. When we got the bill, we noticed that we were charged for the breakfasts we ordered and $10 extra for a “kids buffet.” I thought that was pretty bad. If we had intended to feed them from the buffet, we wouldn’t have ordered separate meals for them. While the sprayers in the wheel-in shower were kind of cool (our kids called it the car wash shower), the shower itself could have used a really good cleaning and repair job. The caulking around the shower was in bad shape and looked like it could be harbouring all kinds of grime and mould. The Banff Park Lodge is a very average hotel in a great location. Its proximity to Banff Avenue and tons of eating establishments definitely puts it higher on my list than it would be otherwise. If you are looking for a wheelchair-friendly hotel in Banff and proximity to shopping and food is your top priority, then this one is a good choice.